A common issue in communities is an untrained workforce. Many individuals do not meet the qualifications for jobs they want and many private trade schools have opened up to make up for the deficit in education. 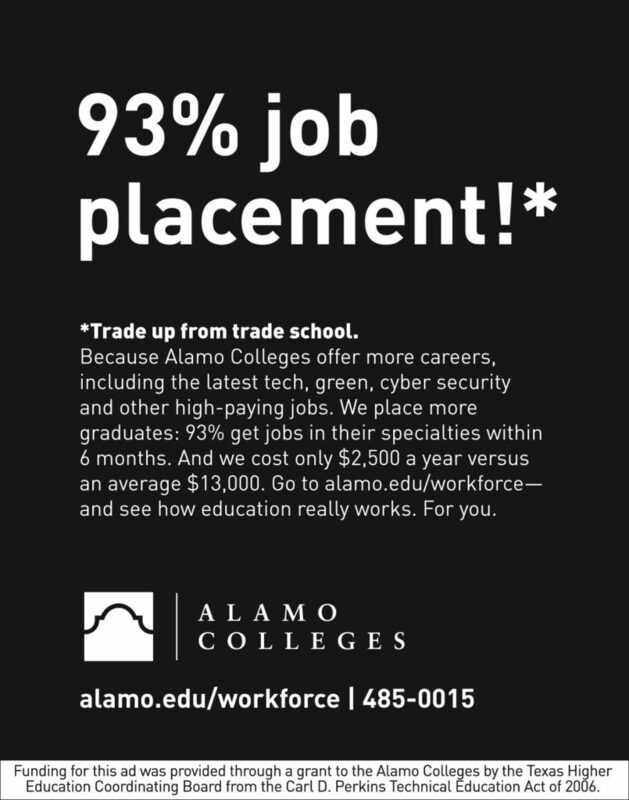 Alamo Colleges wanted to take back the prospects they were losing to these trade schools, increase their own enrollment, and increase the education and career readiness of the San Antonio workforce. 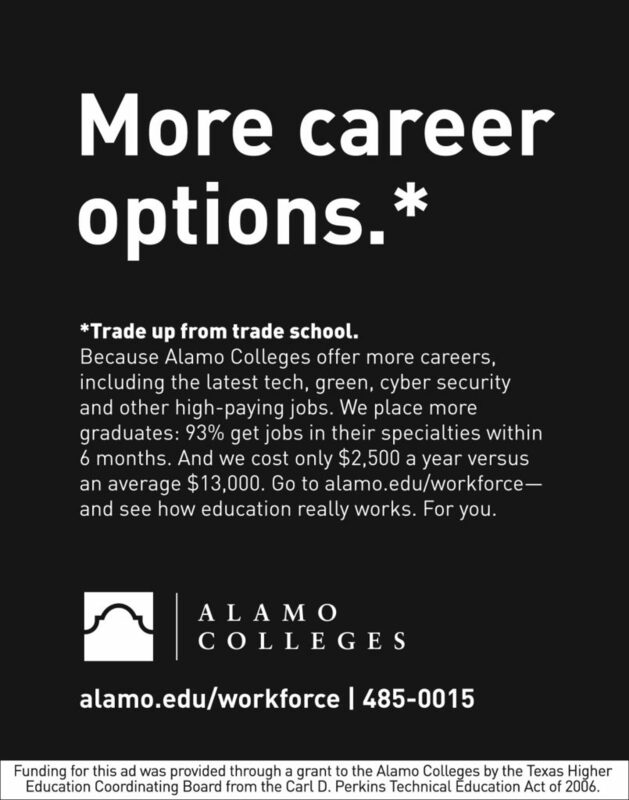 Develop a campaign to highlight the fact that these courses were being offered at Alamo Colleges, as well – and for a much lower cost. By developing a broadcast TV campaign, AMG was able to promote the fact that the Alamo Colleges had an entire division of individuals dedicated to developing curricula based on local business needs. In these spots, we also highlighted the fact that the Alamo Colleges offered a certification program for a variety of trades. 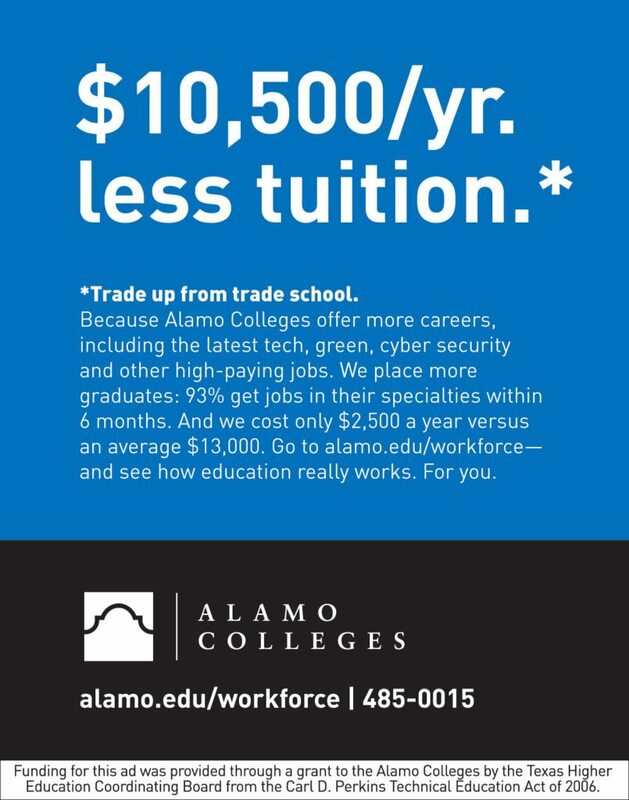 This was in direct competition with the private trade schools in the area, as Alamo Colleges would offer the same education and certification for pennies on the dollar. This certification program boasted a 90% job placement rate after graduation – another major benefit that we highlighted in the advertising.